Fun fact: She won season 21 of Dancing with the Stars, 2015. Growing up in the Australia Zoo, Bindi inherited and embraced the wildlife life of her parents herself. She is particularly known as the daughter of Steve Irwin, star of “The Crocodile Hunter”, who died after being pierced by a stingray while filming a documentary film. Bindi decided to continue her father’s legacy, starring in programs such as “Bindi the Jungle Girl”, and a TV special “My Daddy the Crocodile Hunter”, both in 2007. Bindi has since appeared in magazines, invited to The Ellen DeGeneres Show, hosted and won numerous award shows, among other. In 2014, she was awarded Young Conservationist of the Year by the Australian Geographic Society. 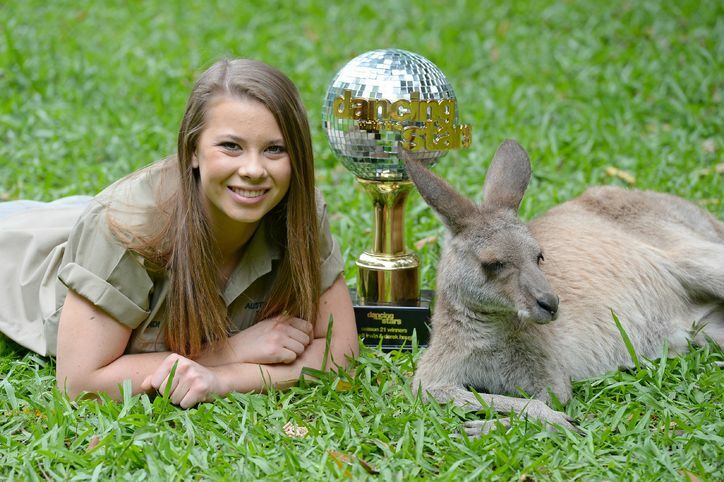 Bindi has been subjected to the spotlight since little, and I feel that she has not only carried on her dad’s legacy and her family’s love for the wildlife in Australia, she has become her own iconic self. In media appearances or interviews, you can see that Bindi has always had that outgoing, positive and joyful attitude. Bindi first caught my attention when she became a participant in DWTS, and, because in every episode it features the purpose and/or message behind each of the upcoming dances, she really gave me the impression that she was a genuine hearty girl in anything and everything she did. The dedication, joy and perseverance that she brought to the dance floor was just a reflection of who she has always been, ever since she addressed the eulogy to her father back in 2006, shortly after Steve’s death. Though she is yet a few months shy of being legally an adult, her constant presence on the TV and media has only resulted in positive impact for those surrounding her, and I feel that whatever direction she chooses to follow (I mean, she has not yet even started college), she will always leave a trail of joy behind.